Discover Downham Heritage Centre01366 384428work Heritage CentreDiscover Downham Heritage Centre is run by Downham Market and District Heritage Society. The centre shows how Downham’s local trades, communities and location helped shape it and how we can still see these stories from the past today. Downham Market is one of Norfolk’s oldest market towns, once a thriving hub of agricultural industry. Light refreshments available, small shop area, public use of research facilities, children’s corner, interactive displays, fully wheelchair accessible, dog friendly. 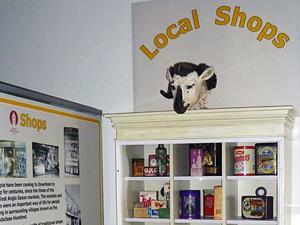 Discover Downham Heritage Centre is run by Downham Market and District Heritage Society. The centre shows how Downham’s local trades, communities and location helped shape it and how we can still see these stories from the past today. The centre is open to the public Thursday-Saturday, 10am-4pm, each week. Admission is free.